So, you’ve hunted through the ads, visited the dealers and sat on loads of bikes in showrooms, even managed to persuade a dealer to take you out on the pillion and you've splashed four figures on your first big bike and it's ready for you to ride away, but you're looking at it with a mixture of excitement and nervousness, wondering if you're going to be able to handle it. 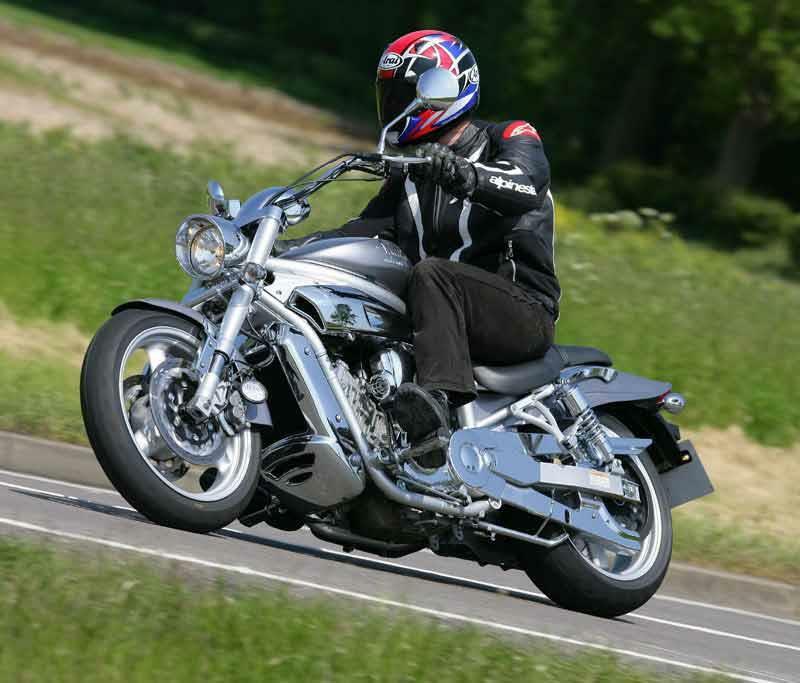 The trickiest times on a new big bike, are those first few starts when you're getting used to the weight and the engine's slow-running characteristics, and the first few times you twist the throttle wide open to sample the extra engine performance. So, it's a faster machine which means you take it slower. Sit astride it and turn the bars from side to side to feel the weight of the bike. Hold the front brake on and pump the forks up and down a few times. Make sure the engine is thoroughly warmed up so there isn't the chance of an unexpected stall and pull the clutch lever in and out a few times to get the feel for it. When you pull away for the first time, have your route planned in your head already, without complicated junctions and heavy traffic. Adjust your mirrors and practice a few lifesavers before you start as tugging at the bars could set up a nerve-wracking wobble. Short shift into second and third, using the bottom of the rev range where the power produced is comparable to your previous bike. Get the feel of the steering by weaving gently (in your own lane) and start braking as early as possible. When you get to a stretch of road you know well that is light on possible hazards like side junctions, that's the time to explore the upper reaches of the rev range. Get it rolling in third gear, maybe fourth, then open the throttle wide. Watch the needle climb, and feel where the power starts to build quickly. Get to know that engine and the way the rest of the bike performs and you'll have a great time.